SkelStart Engine Module is the most powerful module for engine starting applications in the world. 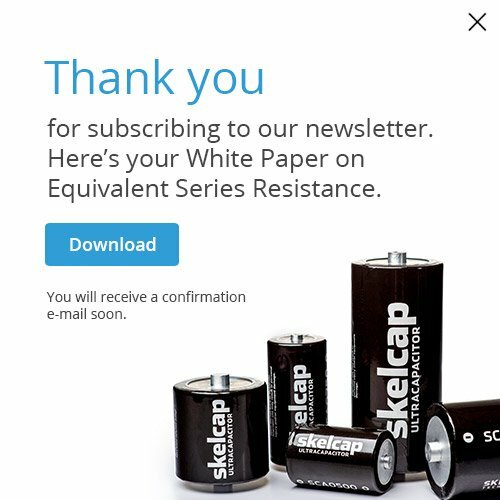 It's based on Skeleton Technologies industry-leading SkelCap ultracapacitors, which have the highest power and energy density on the market. But why would you need an engine module? Batteries are the leading cause for engine starting problems because of their short lifetime and vulnerability in extreme weather conditions. The high current peaks that starting an engine requires can also damage your batteries. Batteries are an unreliable at engine starting, especially at low temperatures. 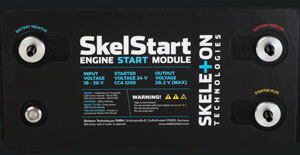 SkelStart provides many times the starting power compared to a battery, even at -40°C. Batteries lose their charge over time. SkelStart will provide the highest cranking current to your gensets - in any conditions. Every minute counts when working with heavy machinery and with SkelStart installed, you can be sure there is no downtime because of battery problems. Do you trust your batteries to start the engine when it really matters? SkelStart can save your time, money, nerves, and even your life by making sure you always get home. 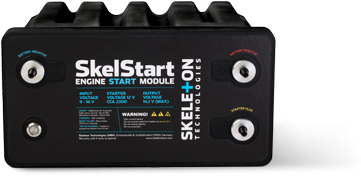 SkelStart delivers much higher cranking power than batteries and does it effectively even at -40°C. Install SkelStart, and you can stop worrying about what your energy consumers are doing to your batteries. Starting power even with „dead" batteries - If SkelStart's energy is used, it needs min 9V and max. 16 min to be charged from empty to full. 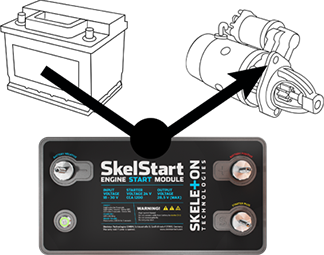 The Skelstart Engine Module is installed between the batteries and the starter, which means the batteries are disconnected from the starter. We prepared 2 minute clip to show how it is done. 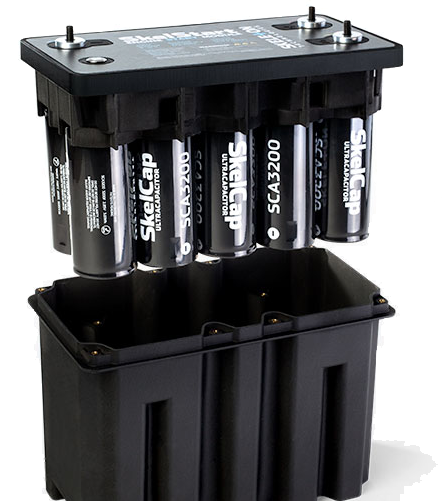 Once SkelStart is installed, you can expect a prolonged lifetime for your batteries, which leads to more savings. 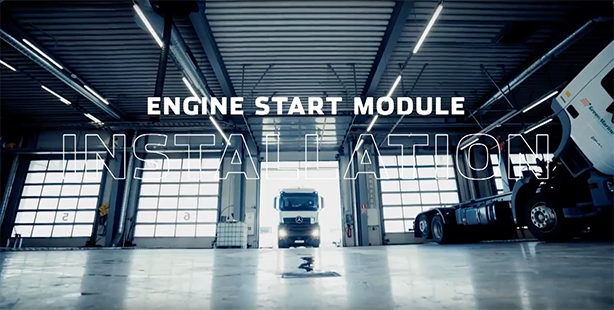 No other parts or components are needed for the installation.